This type of climbing session is suitable for groups of all abilities and ages. Bottom Roped climbing is an extremely safe way to experience rock climbing as a group and is very flexible with abilities as we can have ropes on a range of routes at the same time giving different levels of challenge across the same group. It is also very inclusive as there are always jobs to do on the ground when not climbing and as we are all close by is very social and fun for groups and promotes team-work throughout. Thorough briefs and demonstrations will be given buy our qualified instructors who will be at hand to help out and watch over all aspects of the activity. See our Group Climbing Video. 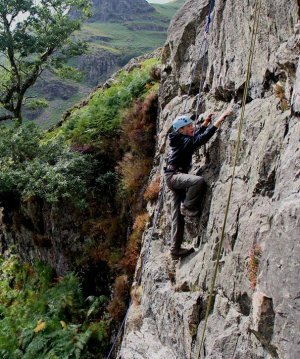 Note – for technical climbing instruction and guiding see Mountaineering & Climbing – Scheduled Courses and Trips for courses with set dates, and for bespoke days out see Mountaineering & Climbing – Private Guiding and Instruction.